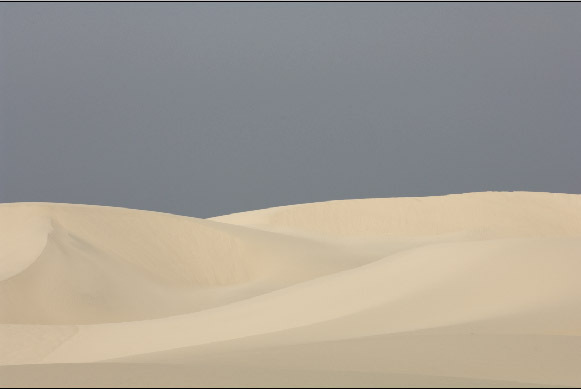 "Tonality and Colors in Photoshop and Raw Converters"
Quite a few of our top photos are done in low contrast light. These images can get lost during our work as they don't look that good without any major tonal corrections (see this example). 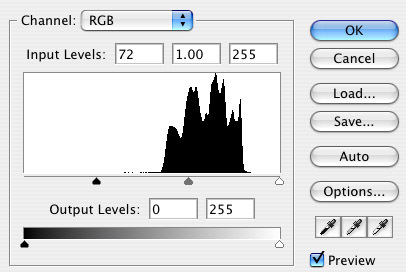 The histogram sends a clear message: The black (darkest) point needs to be adjusted. Now on to fix the sand. This is simple with levels, right? Best you stop here for a moment and compare these two pictures. Both enhance the contrast but the colors look very(!) different. For us the color changes through Levels in RGB (Curves do the same) are kind of arbitrary to us. Most of the times we neither want the pure contrast change shown in "luminosity" mode nor the over the top changes shown in "normal". For us the "truth" (means our intention) is somewhere in between. Fortunately Photoshop layers offer a solution to get exactly this. 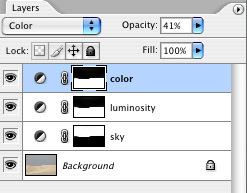 We duplicate the adjustment layer (the one which is now in "luminosity" blending mode) and set it to "color" blending mode. Now we can adjust with the opacity of this layer how much color shift we want to apply. Note: Blending mode Color changes Hue and Saturation. Best you also try to use the Hue and Saturation blending modes. As I wrote in this article the outcome of this picture will be very subjective. You are the judge to get the image the way you like it. This whole article is about the possible control to set the image exactly how you like it. With just Levels/Curves (RGB and not in different channels) in "normal" mode you won't be able to have enough control. RAW Developer: RAW Developer allows Curves in LAB mode and this way only to control the luminosity. Actually comparing images from RAW Developer with other converters made us write this article. We do all tonality control in RAW Developer with LAB luminosity curves. 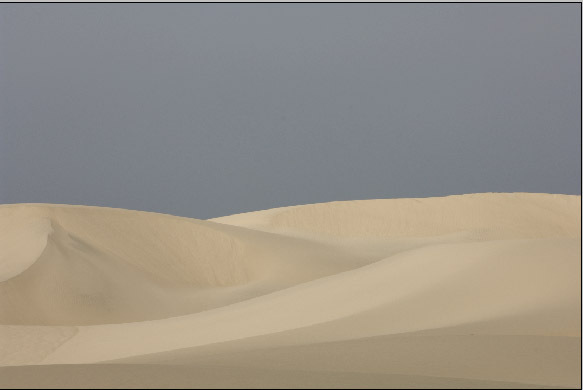 We recommend in cases like this ( low contrast images) not to perform any tonality control inside the RAW converter. Save the file as 16 bit TIFF and finally tune the image in Photoshop. Of course if you like what you see in your RAW converter all is fine. 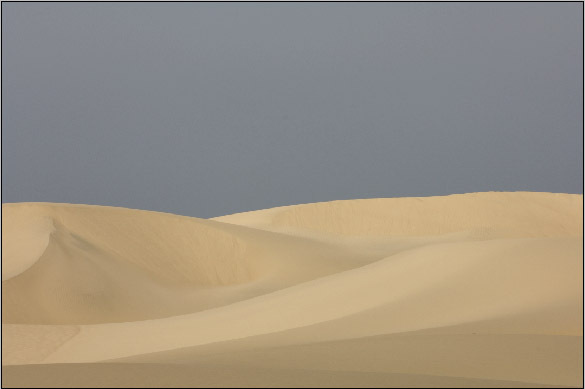 Images like this dune photo are of course especially tricky because many different variations would work fine and it is even a matter of your mood how you like the outcome. Having a series of these images makes things even worse (and we have quite a few). 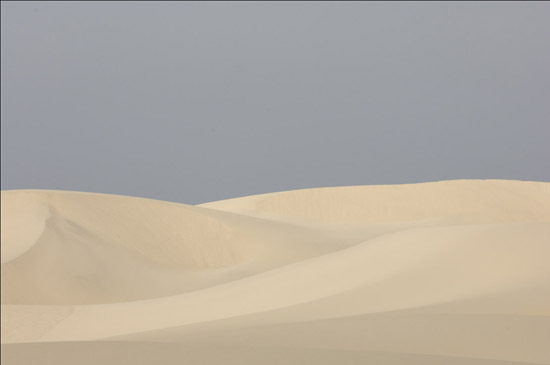 Check out our latest dune portfolio. There is also a commercial tool called "Lobster" which works in Photoshop to accurately separate images into tonality and color. We recommend to look at the Lobster tutorials and manuals. Lobster is more precise than our approach but also introduces some more layers for your images. This is one of the many techniques we will teach during the 2006 Summit. We will also work with you 1 on 1 and help you with your own images and with how to use this technique, and many others, in your own work. Click here to read a detailed description of the 2006 Digital Fine Art Summit.